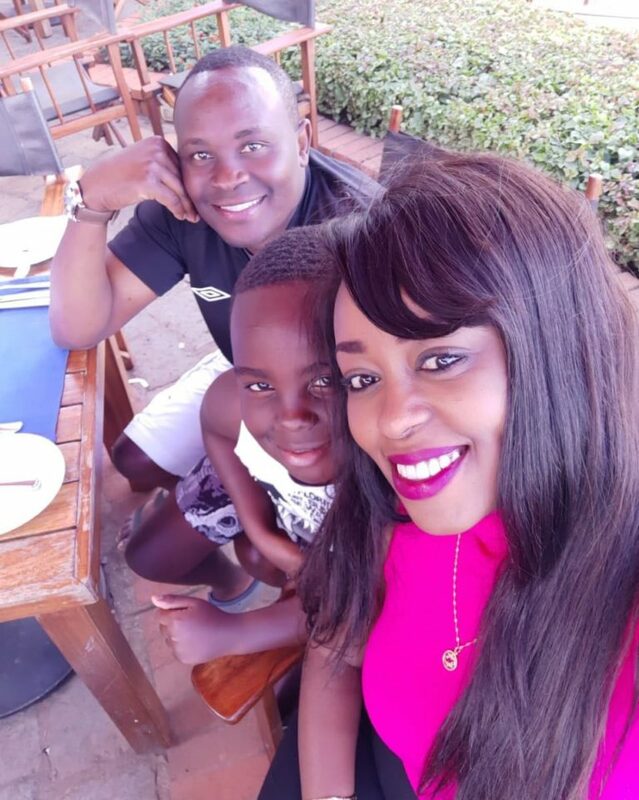 Thursday, December 27, 2018 - Citizen TV’s Lilian Muli is currently the talk of the town following her melodramatic rant on social media after dumping her baby daddy, Jared Nevaton Ombongi. Two days after she delivered the ‘earth shaking news’ she took to social media to share a loved up photo of herself and ex-hubby , Moses Kanene and their son, Joshua. “Sunshine even on rainy days with Kanene and Josh,” she captioned the picture. The controversial TV girl and Moses got married in September 2009 in a lavish wedding at the Windsor Golf and Country Club. However, their marriage went south pretty fast and culminated in a messy divorce in 2016. When she filed for divorce, she cited “adultery, cruelty and desertion” as reasons she wanted the marriage annulled. She added that Mr. Kanene is a man of “unpredictable moods, ungovernable temper and violent in nature,” and that he had absconded his duty as a husband or as a father. Despite the bitter divorce, it seems they are still good friends and Lilian is seeking solace in Kanene after Jared turned out to be her worst nightmare. As they say, the Devil you know you is better than the angel you don’t.